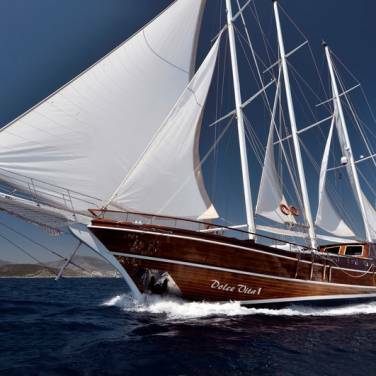 Cruising gulet Morning Star is a sailing yacht designed to offer pleasant accommodation and perfect gulet cruises in Croatia. 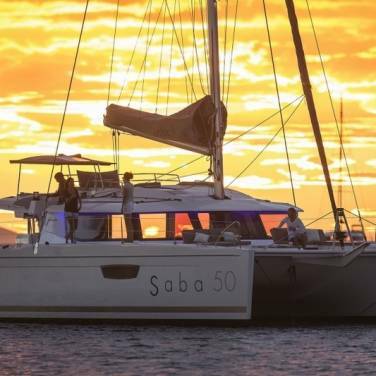 With its 6 tastefully appointed cabins, it provides accommodation for 12 guests and ensures a beautiful cruising adventure. Each cabin has a private en suite bathroom, air conditioning and paneling in mahogany. Mahogany is also used throughout the remaining interior whereas plenty of natural light in the salon gives the yacht a comfortable and spacious feel. 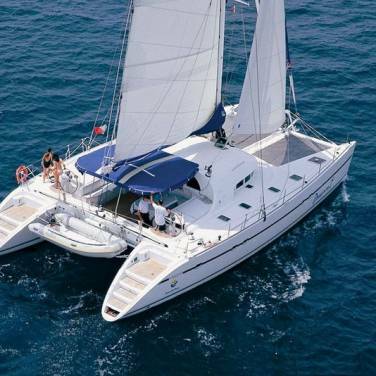 The exterior areas are vast sundecks with cozy sun mattresses and sun pads while there is a lovely dining area on the aft deck, ensuring a divine respite from the heat and the sun. A crew of highly experienced professionals is in charge of Morning Star and takes care of every detail of your holiday with the utmost concern and attention. The chef on board is well known for his culinary specialties and will make sure you experience a gastronomic journey of delightful dining experiences. For those who wish to have a more active and dynamic holiday, gulet Morning Star also gives you an opportunity to participate in a wide range of water sports such as canoeing, snorkeling and water skiing. Apart from taking care of the navigation, the captain is there to help you choose among different cruising itineraries that can be complemented with an interesting sightseeing of Croatia’s cultural and historical landmarks. Cruise aboard gulet Morning Star and discover spectacular landscapes that change from one destination to another, offering plenty of activities and entertainment while unveiling Croatia’s hidden secrets.